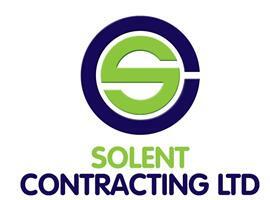 Solent Contracting Ltd - Fencing/Gates, Landscaper based in Southampton, Hampshire. Solent Contracting Ltd is a Southampton based company specialising in groundworks, landscaping and fencing (domestic and commercial). •Hard landscaping - paving, decking, garden walls, shed bases, trampoline bases etc. •Soft landscaping- planting (including trees), Turfing, artificial turf etc. •Groundwork's - drainage, earthworks, foundations etc. •Sport and play facilities - tennis courts, games areas, play areas, pitches, safety surfacing etc. We pride ourselves on consistently producing workmanship to the highest standards, keeping disruption to a minimum and always turning up when we say we will. We are always happy to visit and provide friendly advice and a free quotation. Solent Contracting Ltd was founded in May 2015, however, Mark Lilley, the founder, has over 25 years’ experience in the construction and landscaping industry.